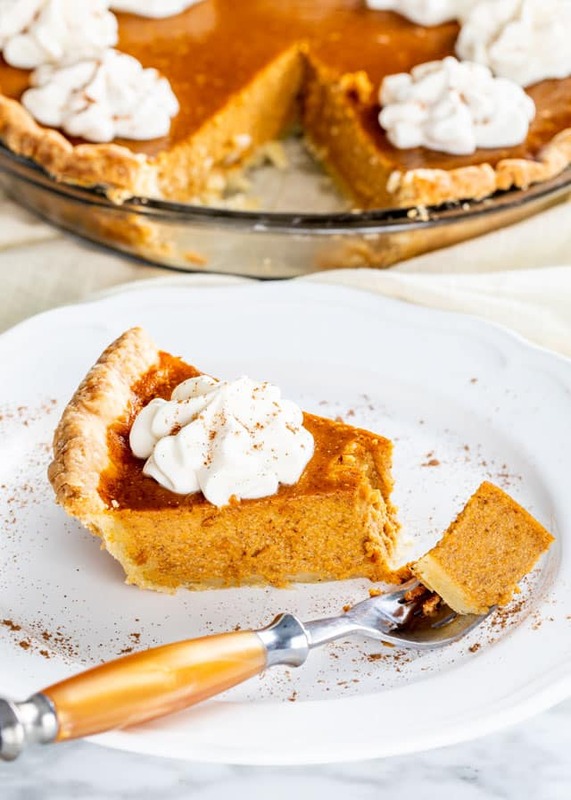 This Classic Pumpkin Pie is creamy, sweet and luscious! Completely homemade from the crust to the creamy filling. It’s utterly delicious and begging to be the star of your Thanksgiving menu! I love pumpkin pie. But I only want to eat it for Thanksgiving. That’s enough for me. But when I eat it, it’s like I’m in heaven, I could jump with joy. But that’s all I need to last me for the entire year. And not just any pumpkin pie, my homemade pumpkin pie with my homemade pie crust. Every year I start posting Thanksgiving recipes early, as early as September and some people get confused by this. The reason is we’re in Canada and our Canadian Thanksgiving is always at the beginning of October. So there you go, no more confusion ever! But don’t worry, I will continue to post Thanksgiving recipes all the way till the end of November. 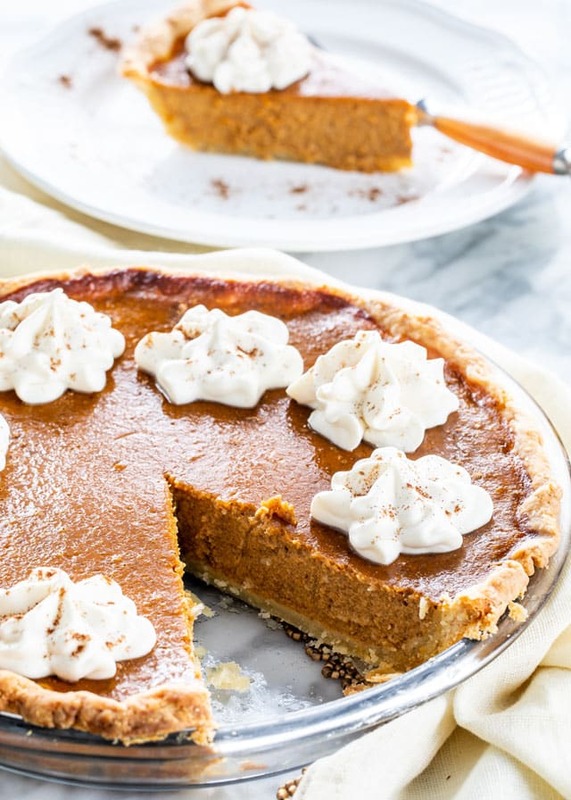 This pumpkin pie is perfect. I’m not sure how else to describe it to you. You take a bite and all the flavors hit your taste buds and you want to scream with delight. Yep, I’m pretty serious here. And I take my pumpkin pie seriously. It’s creamy, it’s luscious, it’s just perfect! Pumpkin pies are great because they can easily be made a day or two ahead. You can bake it, cool it, then wrap it in plastic wrap and store it in the fridge until ready to serve. Absolutely! It’ll last up to a month in the freezer. Just make sure you wrap it tightly with plastic wrap after it comes to room temperature. Wrap it with a few layers of plastic wrap and then a layer of aluminum foil. To defrost, place the pie in the fridge overnight and let it defrost slowly. My pumpkin pie rules! Of course you could always buy the store bought crust and just make the filling, it’ll probably save you some time, but you must make this filling, it’s money! So here, have a slice! Really, it’s on me! Don’t forget to read the post on making the perfect pie crust and all about blind baking! 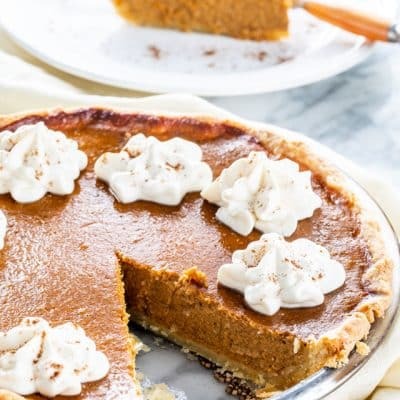 This Classic Pumpkin Pie is creamy, sweet and luscious! Completely homemade from the crust to the creamy filling. It's utterly delicious and begging to be the star of your Thanksgiving menu! Make the pie crust according to this pie crust recipe. You can also use store bought pie crust. In a large bowl combine the sugars, pumpkin pie spice, cinnamon and salt. Add the rest of the filling ingredients and mix well until well incorporated and smooth, using a mixer or whisk. Set aside. If using your own homemade pie crust, remove the dough from the refrigerator, and let it sit at room temperature for up to 10 minutes. This is required to soften the dough a bit, so that you can roll it out. Roll out the disc using a rolling pin. If your dough is sticking to the surface or to the rolling pin add a bit more flour as necessary. Roll it until it's about 1/8 of an inch in thickness. Place the pie dough lightly into a pie plate. I usually roll it on the rolling pin and unroll it over the pie plate. (see video) Crimp the edge and cut off excess dough. 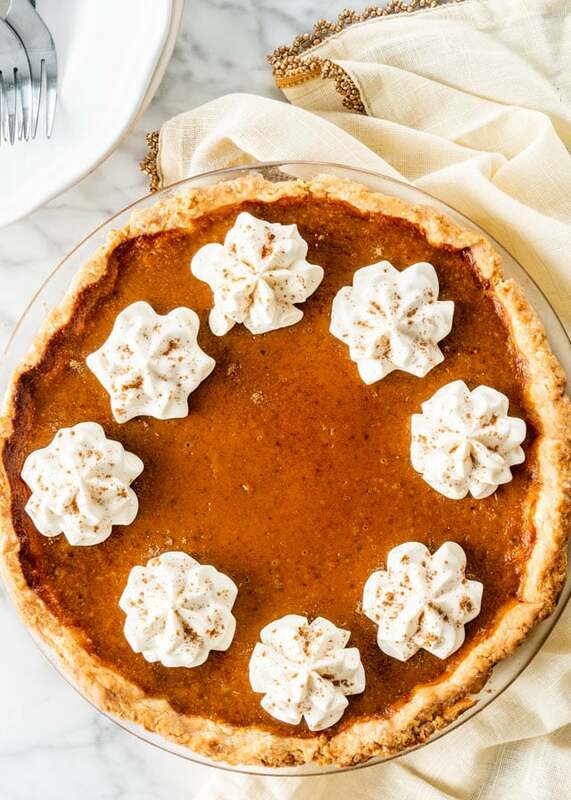 Place a piece of parchment paper over the pie shell and fill it with pie weights. If you don't have pie weights, you can use dry beans. Place the pie shell into the oven and blind bake it for 15 minutes. Read more about blind baking here. Once done, remove the pie weights and the parchment paper from the pie shell. Pour the pumpkin mixture into the pie shell and bake at 425 for 15 minutes. Reduce temperature to 350 F degrees and bake for another 45 minutes, or until a knife inserted near the center comes out clean. Cool before serving. Top with whipped cream if preferred. Check out the recipe to make this easy pie crust with video and step by step instructions here. A couple of years I baked pumpkin pies for Thanksgiving from the libbys can recipe. What made it special was the Triple Treat pumpkin seeds that I planted in my garden. I grew my own pumpkins in a garden. Maybe I will try this recipe next year with pumpkins right out of a garden. 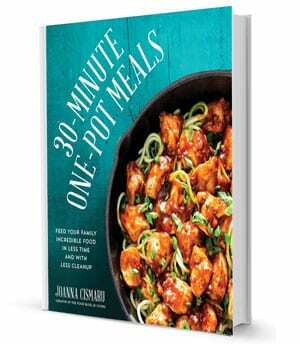 Has anyone tried this with sweet potatoes/yams? That would be fantastic with fresh pumpkins! We haven’t made this recipe with sweet potatoes but I’m sure it would taste great. I would cut down on some of the sugar in the recipe because of how sweet the potatoes are. It looks so sweet and shop. Fabulous flavor!! Hi Jo, I read your recipe for the pumpkin pie, and it is pretty much the same pie that I have made for the past 35 years! It is and has always been my favourite pie to make and eat, and I look forward to each year. I highly recommend this pie, with canned or fresh pumpkin purée, look out Costco, you have been beaten by the best pumpkin pie! Keep the awesome recipes coming Jo, and Happy thanksgiving this weekend! Looks good! Pumpkin pie is my favorite. I’ve always made my own pie filling and pie crust. I’ve made it with canned pumpkin and the Libby’s famous filling recipe (about 40 years now). You’re pie is so beautiful and looks so good, I’m trying it this year. I’m using your crust recipe too, mine uses Crisco and it’s very flaky and good but I’m trying to cut the heavily processed fats out of our diet. Butter is better so they say! 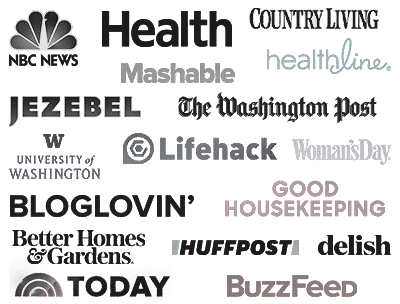 I love your recipes, your site is my go to place when I’m looking for something new to try! The crabby commenter that said you should cook your own pumpkin was a trip! I’ve cooked my own many times and to be totally honest, I like the canned pumpkin better! Costco 🙂 Looks delicious! I could eat pumpkin pie all year long! Happy Canadian Thanksgiving! I feel about pumpkin pie the same as you–I have it for American Thanksgiving, and that’s enough for me. My husband, on the other hand, loves it so much, he’ll eat it multiple times during the period from October to December. Classic recipes are always the best! 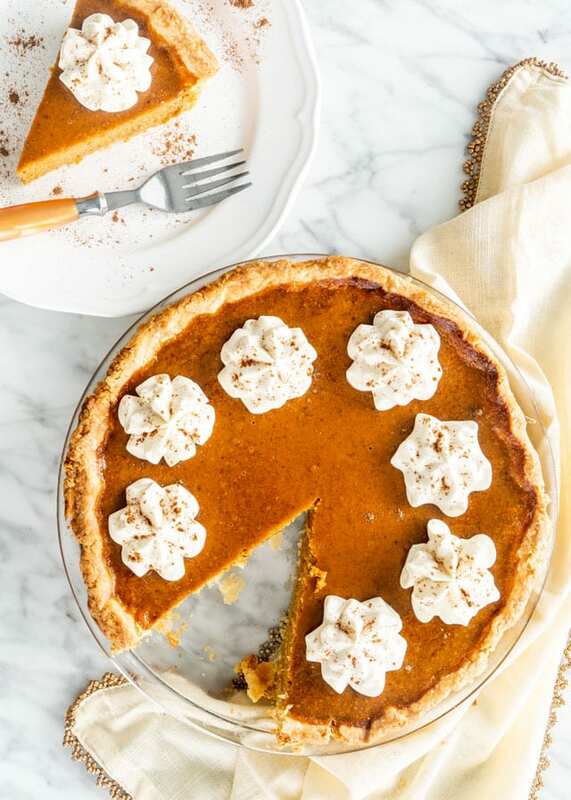 Your pumpkin pie looks divine Jo! Canned pumpkin filling. You should have made that yourself too. Were to make this I’d have to make my own. What do you Canadians celebrate thanksgiving for?